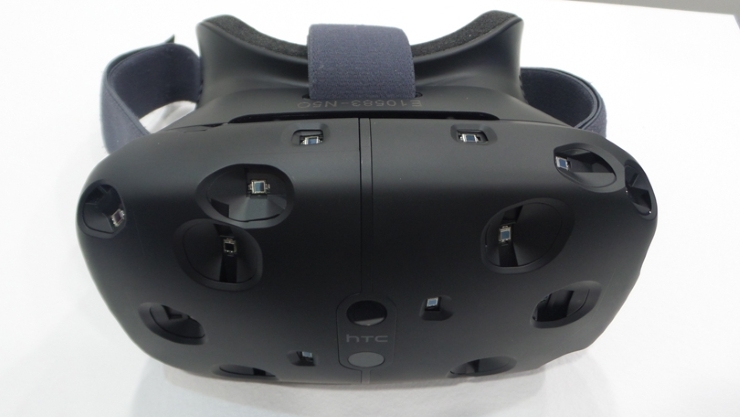 HTC announced on Sunday their intentions to release the Vive headset, a virtual reality device in competition with the Oculus Rift, a device set to release later this year. This announcement marks the first real competitor to the Rift, with impressive specifications. As much as they might like to be the lone contenders, the two devices are ultimately best looked at in comparison to each other, as they represent the two well-rounded devices in virtual reality at this time. It is obvious, comparing the specifications of the two products, that HTC is dedicated to beat out the Oculus on as many fields as possible, however incremental this improvement may be. For example, the 960×1080 resolution per eye of the Oculus is outclassed by the 1200×1080 resolution per eye of the Vive, and the refresh rate is better in the Vive by an amount just wide enough to be noticeable. Further specifications about the device have not been released by HTC. This marks the first real expansion of the virtual reality market, it and the Oculus Rift being the two only true accessible and decent Virtual Reality devices ever made. Many previous devices had major flaws that these two do not suffer from—some were too large, in the case of many older experimental devices (many of which had users in what essentially amounted to a giant hamster ball, simulating movement). Others, though accessible to the consumer and reasonable sized, had hardware too poor to run anything of interest or visuals that hurt the users’ eyes, both in the case of Nintendo’s famously terrible Virtual Boy. Virtual reality has been a staple in science fiction since its inception, but only now are we getting to the point where people might be able to access this technology—even if it is only the first viable generation. HTC’s announcement comes with a partnership with the video game titan Valve, a partnership that is far more important than any technical superiority the Vive might have. This partnership cements the device’s use for gaming—Valve runs Steam, an online video game platform and marketplace, a fact that will no doubt mean that Valve will push for Vive support on new games. Furthermore, it means that this foothold in the video game market is much stronger than the Oculus. Oculus Rift is owned by Facebook as of last year, a company much more versed in the management and publication of more casual mobile games. While it might not be the make-or-break factor in deciding what device wins out, Valve’s massive sway in the gaming industry means that it has a much larger influence on the interests of gamers, those who will be most likely to purchase either of the devices. Facebook made it clear that their ownership of Oculus Rift will not make the device focused on social media, but their lack of experience in gaming sets them behind.